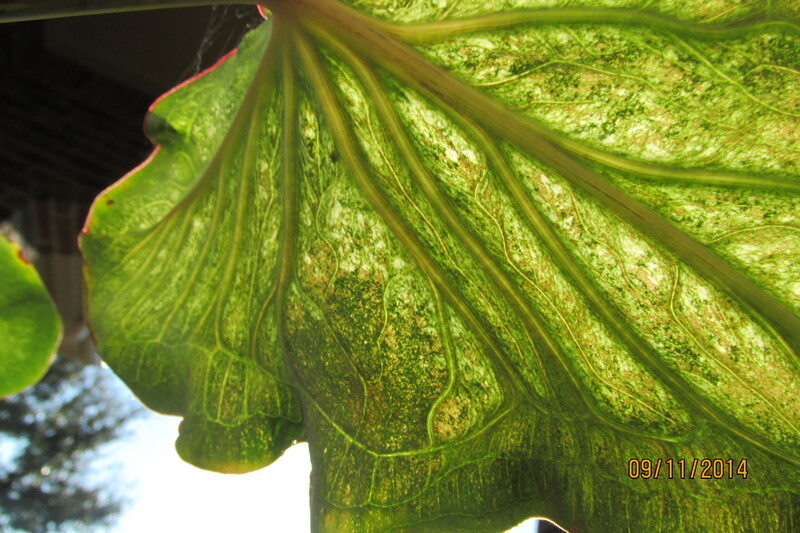 Standing in front of the same caladium leaf in the same light. 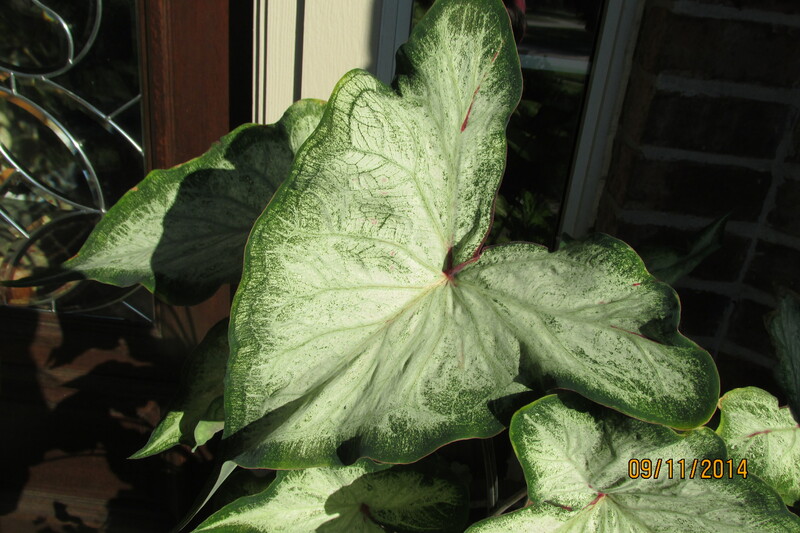 The pot of caladiums on my front porch continues to multiply and thrive in our cool mornings and sunny afternoons. 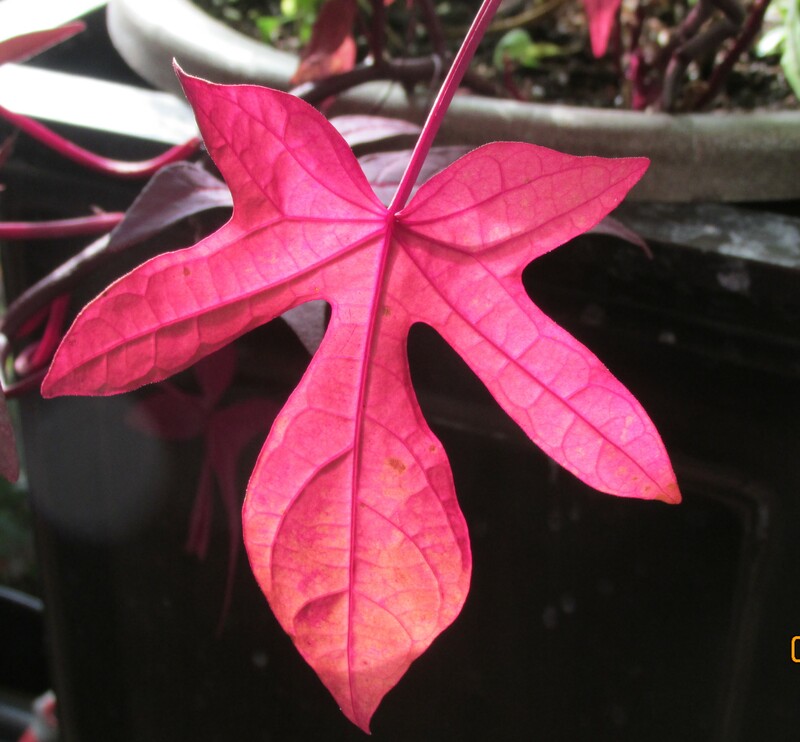 Every time I come in that door I pause to to appreciate the soft colors and hint of scarlet at the center and edge of the leaves. They are pretty. But this morning when I opened the front door to go outside, I looked from a different place and what I saw took my breath away. 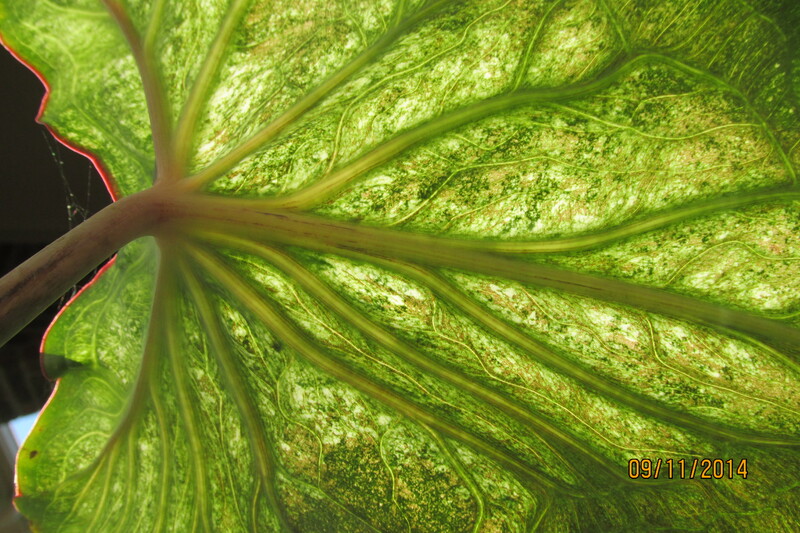 Veined and shaded, the leaf’s translucency drew me closer. 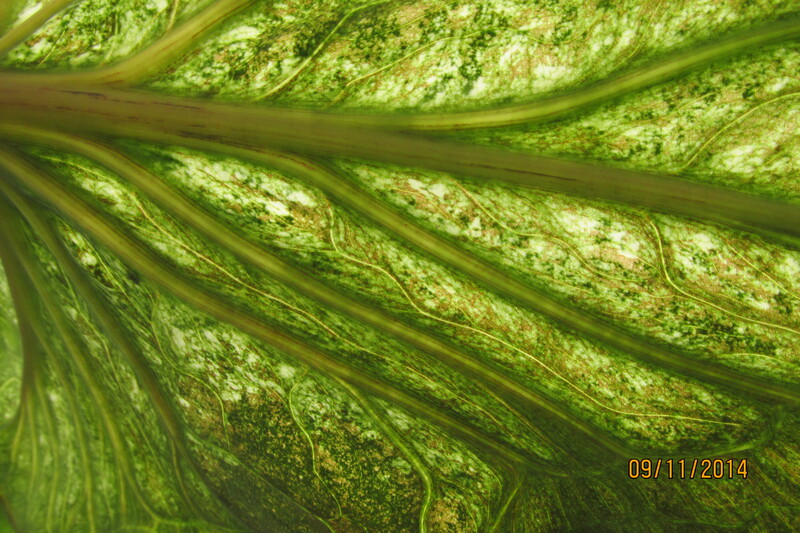 Morning light streamed through emerald tissue and glowed like stained glass. 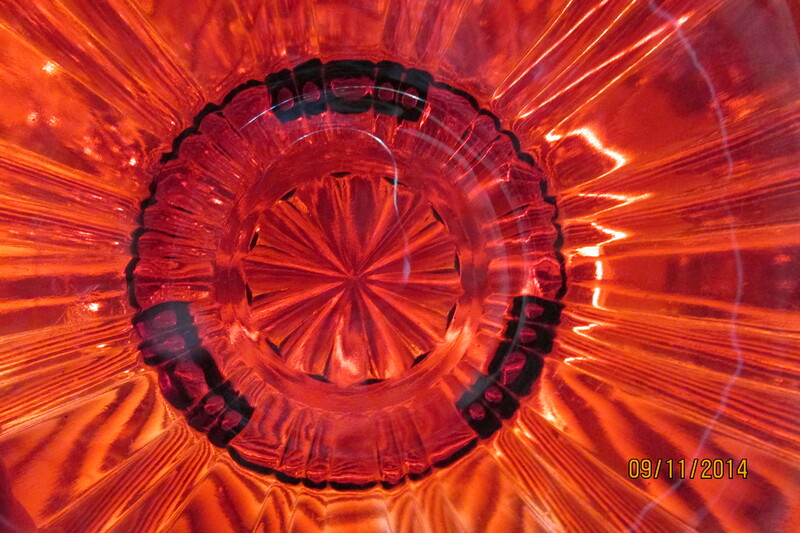 In this moment,, in just this angle of sunlight, there was beauty I would have missed if had hurried by. I believe we have countless opportunities like this to see with the eyes of our heart. I am grateful for this one. 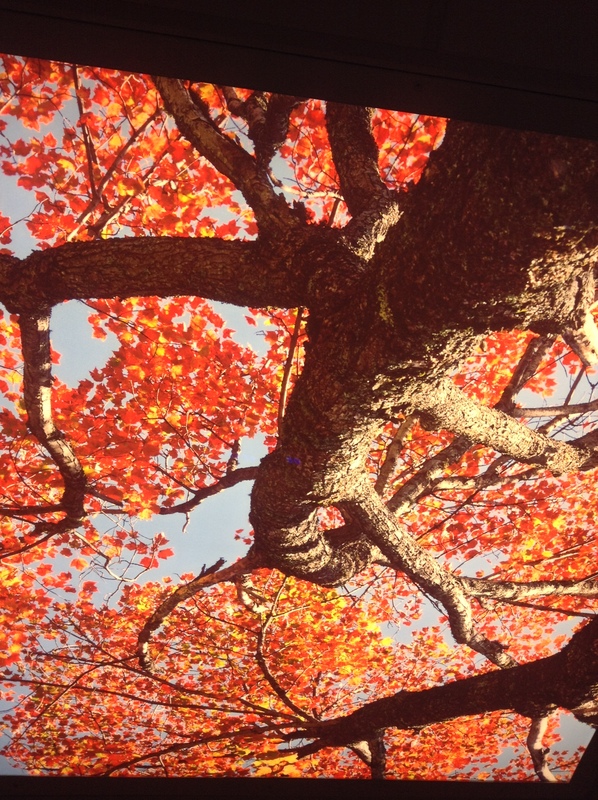 I might have been sitting on an agreeable rock or lying under a Chinese Tallow tree, one of our few Texas Gulf Coast trees that can be counted on to scatter scarlet and gold leaves in the Fall. I might have traveled a few hundred miles north to woods that were a childhood delight for me when the leaves turned. But I only traveled to the Medical Center. I only lay on a hard, narrow table under a computerized tomography scanner that rotated around my body, assessing my lungs – a painless procedure that is a tool for detecting and identifying problems in my body. I have done this many times before because I have nodules in my lungs that need to be monitored plus some respiratory difficulties. But when I looked up from my narrow perch, this time I saw this illuminated image. And it took my breath away – in a good way. It made me smile, and I thanked the technician for this gift. 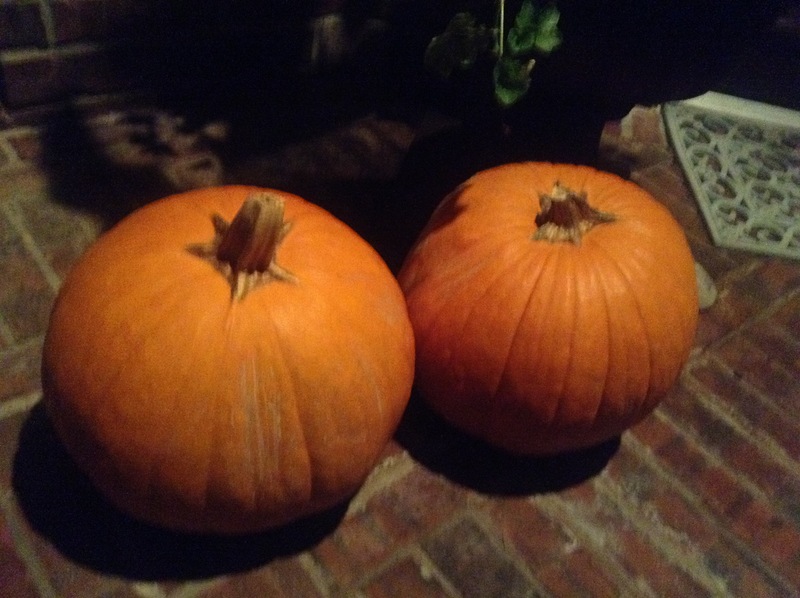 October evenings in our part of Southeast Texas don’t get cooler and then cold. We are as likely to have echoes of summer heat as to welcome sweater weather. But that does not mean Fall has not arrived. We may not have trees blazing with orange and red and gold, but we do have autumnal flags. I have never been fond of palm trees in my garden landscape. To me, as close as we live to the coast, they seem much more at home near the ocean, fitting right in with the sand and sun and waves. However, I adore ferns, and grow several different varieties in our wooded back yard. But as you see here, there is definitely a friendly relationship between these ferns and the large palm where they so happily grow. I noticed this cluster of ferns when I took my 6 month old granddaughter out in her stroller for a walk one morning. 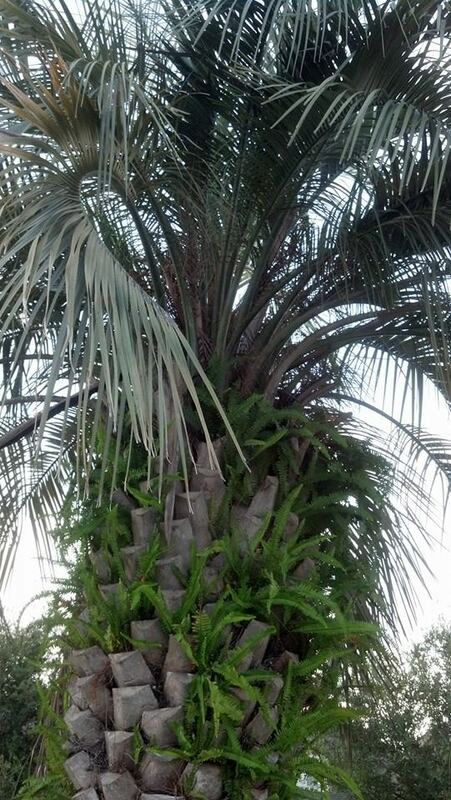 This palm is the centerpiece of a small pocket park in their neighborhood. 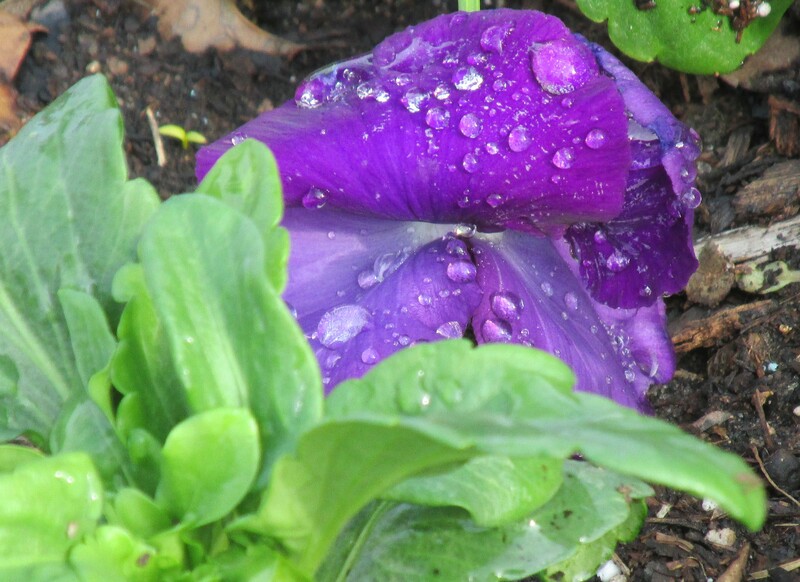 I don’t think I had ever truly paid attention (sorry, Mary Oliver!) 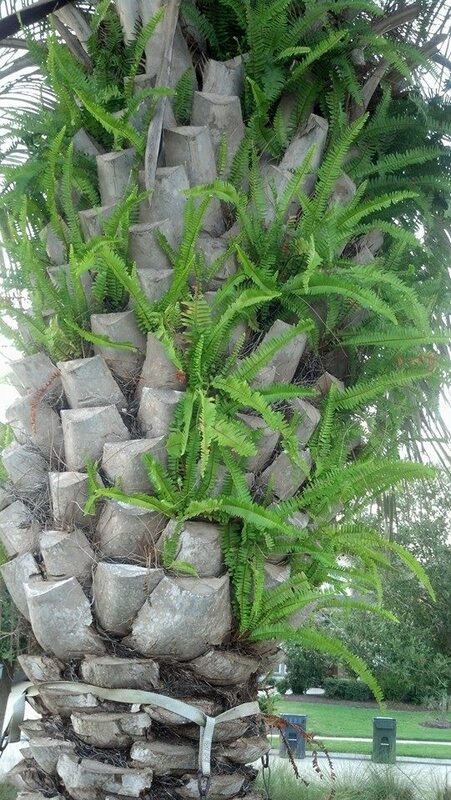 and been astonished at the sight, and certainly had never talked about how these graceful little ferns happen to find enough to grow on in what seems to be just a notch left by palm fronds as they age and break off. In this case, the palm’s growth habit (aging?) creates a little pocket where debris and leaves collect. The point where the palm fronds once attached to the trunk – called boots – collect leaf litter that composts to create a growing medium that ferns love. This is a natural occurrence in areas like ours where wet, humid conditions favor the ferns. The ferns are epiphytes. This means they are growing on another plant that serves as a host, but they don’t get their nutrition directly from the host plant or cause any it any harm. Spanish moss is another common epiphyte. I am glad I paid attention to these feathery green surprises. One day tiny spores were floating around and a puff of wind carried them to just the right spot to root and grow. I am reminded of the lovely phrase used by Hildegarde of Bingen: A Feather on the Breath of God. Maybe we can learn to let go enough to be shown just the right place to grow. And it just might be an unlikely place, an extraordinary place, one we would never have known to dream of.